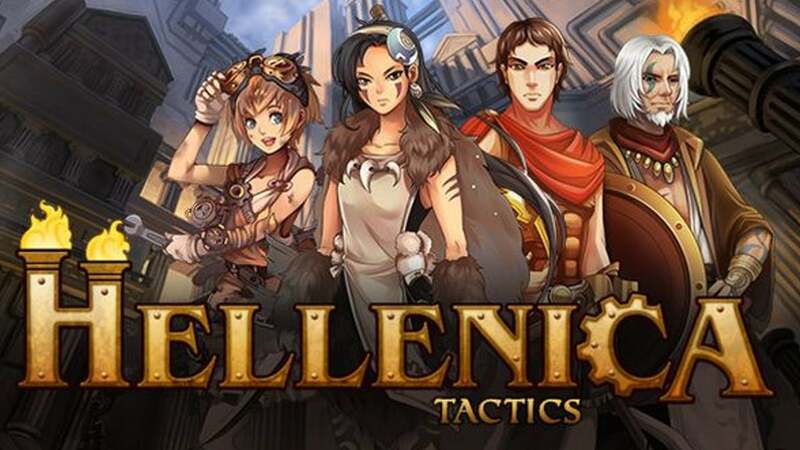 In this turn-based tactics RPG, you’ll rewrite the history of an ancient Greece transformed by an industrial revolution. Customize your party’s skills and navigate a labyrinthine storyline where your choices affect the path you take, the battles you fight, and the allies you meet along the way. Old-school tactics combat, enhanced – Familiar Tactics mechanics coupled with many ways to manipulate the battlefield. Push a bandit off a cliff, toss an ally to safety, and bounce a barrel down a line of unsuspecting harpies. Unique steampunk world – See how an industrial revolution transformed the cultures of ancient Greece. From the luddite mobs threatening Athenian democracy to the great railroad of Thebes, Hellenica brings steamwork wonders to a brand new setting. Reimagined history of ancient Greece – Help Plato and Socrates maintain order in an Athens shaken by change, fight alongside the technologically augmented king of Sparta against rebels committed to tradition, or join Cyrus the Persian prince on a quest to liberate his people. Customizable party skills – Unlock party skills and customize your loadout before each battle. Skills never grow obsolete, but instead provide new tactical options for every situation. Labyrinthine branching story – Live multiple lives, making different choices and exploring different facets of the world. Will you seek guidance from the Oracle or form an alliance with a shadowy network of spies? Stow away on a pirate vessel or follow a mysterious foreigner? Investigate a rebellion in Sparta or seek the aid of the enigmatic enchantress, Circe? Custom narrative experience – Thousands of custom dialog lines ensure that characters recognize and respond to the actions you’ve taken on each of the paths through Hellenica’s story. No pants – They weren’t even invented yet!